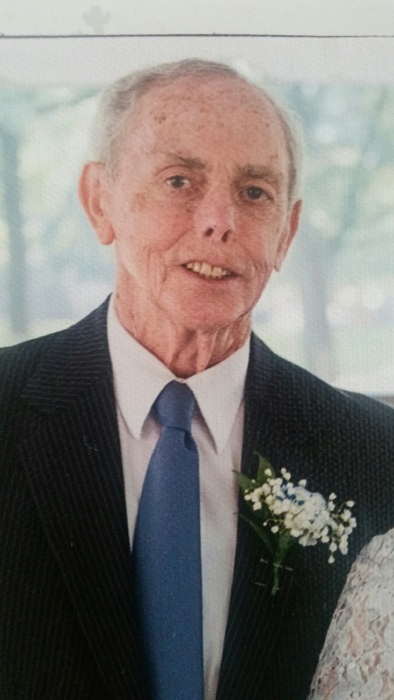 James Robert "Bobby'' Carper Sr.
James Robert “Bobby” Carper Sr., 81, died Wednesday, January 30, 2019 at home surrounded by his loving family. He was born October 18, 1937 in Vinton Co., OH. Bob was a conductor/yard brakeman for CSX Railroad, retiring with 43 years’ service. He also volunteered at Fountainview Nursing Home in Monroe, MI for 39 years. He also enjoyed the company of his dog Honey. Bob is survived by Rosemary (Komasinski) Carper, his loving wife of 63 years; children, Jim (Terri) Carper, Joanne (Russ) Lytle Vollmar, Debbie (Rick) Fravor, Donna (Rob) Tunks, Pam Mahorney, Gloria (Don) Rolf, Mary (Ray) Sampson; 18 grandchildren; numerous great-grandchildren; sister, Linda Bowen; brothers, Bill (Terry), Ron (Renee), Ed (Janet) and Alvin; many nieces and nephews; good friend, Kelly (Mike) McCullough. He was preceded in death by his parents, Dwight and Evalena (Kittle) Carper; brothers, John and Chuck; sister, Mary; 2 great-grandsons Dakota and Ashton; brother-in-law, Bill and son-in-law, Earl Mahorney. Family and friends may visit the Freck Funeral Chapel, 1155 S. Wynn Rd in Oregon on Sunday, February 3, 2019, from 2-7 p.m. where services will be held Monday, February 4, 2019 at 11 a.m. Burial will follow at Restlawn Memorial Park.